What Is A Spec Racing Series? The above photo isn&apos;t a Gran Tursimo screen shot. It&apos;s an image of the Ferrari F430 Challenge. 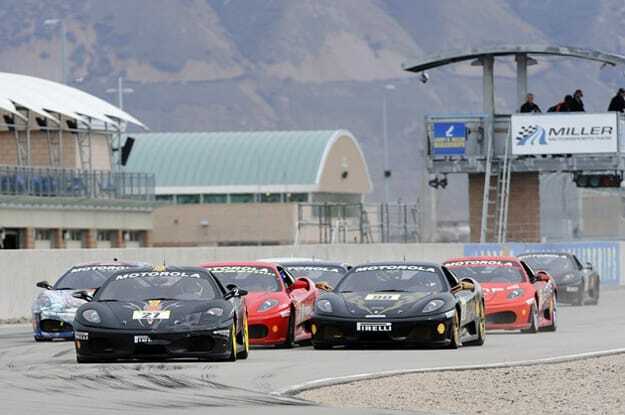 A spec series for Ferrari owners that has announced it&apos;s going to start racing at the famed Miller Motorsports Park. Doesn&apos;t seem like much to amped about, and, really it&apos;s not, but we love spec series. Complex Says: One of the oldest one-make series still operating runs in over 14 countries—of course, America isn&apos;t one of them—and has some of the most competitive racing in the world. The series is so popular, Renault went ahead and built a Renault Clio Cup model that ranks among one of the most fun hatch hatches on the road. Complex Says: What more could you ask for other than a grid of 911 GT3s swapping paint while ripping around a track? The series which is supported by the FIA Formula One World Championship, sports six teams and 16 drivers, each driving identical Porsches with 450 hp, sequential six-speed gearbox, aero pack, Porsche Ceramic Composite Brake. Complex Says: The Spec Miata series is a no-brainer simply because the Mazda Miata is one the best and most affordable sport cars on the road. Depending on the year (preferably 1990-1999), you can find an endless amount of spare parts for cheap, making it ideal for a racing series for dudes low on funds. Complex Says: Australian race car series are some of the best of the world. If you&apos;ve never watched an Australian Supercar V8 race—you&apos;re missing out on some real stock car racing. In &apos;08, they started the Mini Challenge which is like a, no pun intended, mini version of the V8 Supercar Series. Featuring Mini John Cooper Works Challenge cars built in BMWs race factory in Germany, it fully displays what those little hatches are capable of. Complex Says: Billed as the fastest one make series in the world, Lamborghini launched this series with their all new LP560-4 Gallardo sporting the same 5.2L V10 engine as the road going versions but gets an extra 10-hp for a total of 570. Whether or not it&apos;s the fastest is debatable, but it is undoubtedly the coolest. Complex Says: The Lotus Evora has been hailed as one of the best cars of 2009. That&apos;s no faint praise considering the cars that came out along side it. To really drive the point home that their new ride is awesome, Lotus plans to launch an Evora Cup later this year using Evora&apos;s with a larger 4.0-liter V6 engine that puts out 395hp. That&apos;s not all, to get it into race trim, Lotus did their usual and shaved off 440lbs off its already light curb weight. This should be an exciting one to watch.